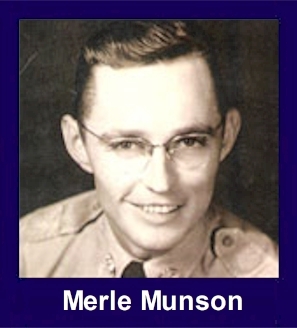 The 35th Infantry Regiment Association salutes our fallen brother, SFC Merle Clayton Munson, RA17017598, who died in the service of his country on September 1st, 1950 in South Korea. The cause of death was listed as KIA. At the time of his death Merle was 28 years of age. He was from Mille Lacs County, Minnesota. Merle's Military Occupation Specialty was 2745-Light Weapons Infantry Leader. The decorations earned by SFC Merle Clayton Munson include: the Combat Infantryman Badge, the Purple Heart, the National Defense Service Medal, the Korean Service Medal, the United Nations Korea Service Medal, and the Republic of Korea War Service Medal. Sergeant First Class Munson was a member of the 35th Infantry Regiment, 25th Infantry Division. He was Killed in Action while fighting the enemy in South Korea on September 1, 1950. Sergeant First Class Munson was awarded the Purple Heart, the Combat Infantryman's Badge, the Korean Service Medal, the United Nations Service Medal, the National Defense Service Medal, the Korean Presidential Unit Citation and the Republic of Korea War Service Medal. Per Medic Frank Blake,Merle was a member of the 3rd Platoon, George Company, a WWII veteran, and was killed by a single bullet to the head about 0600. Buried in the Ft. Snelling National Cemetery 7601 34th Ave in South Minneapolis, MN. Section C-19 Site 12086.